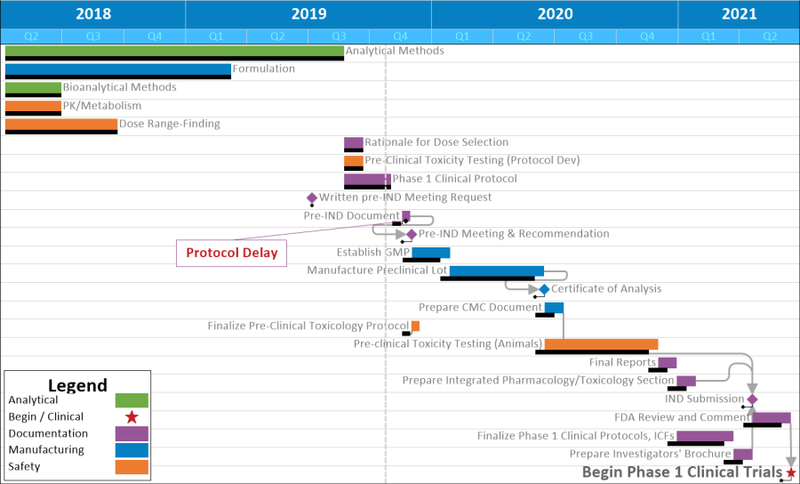 This timeline, created in OnePager Pro using data from Microsoft Project, illustrates the four-year preclinical phase of a new pharmaceutical product. This preclinical project schedule was created using OnePager Pro, project presentation software from Chronicle Graphics that integrates with Microsoft Project. To learn more about how OnePager can help you manage and present your preclinical project, get started today by downloading a free trial or attending one of our demonstration webinars.